Before the fallout between Governor Abdullahi Ganduje and journalist Jaafar Jaafar, it has been revealed that the Governor once hosted him. A photo showing investigative journalist and publisher of DailyNigerian online platform, Jaafar Jaafar with governor of Kano state, Umar Ganduje before he exposed and released videos of the governor purportedly receiving bribe to the tune of $5 million has surfaced. 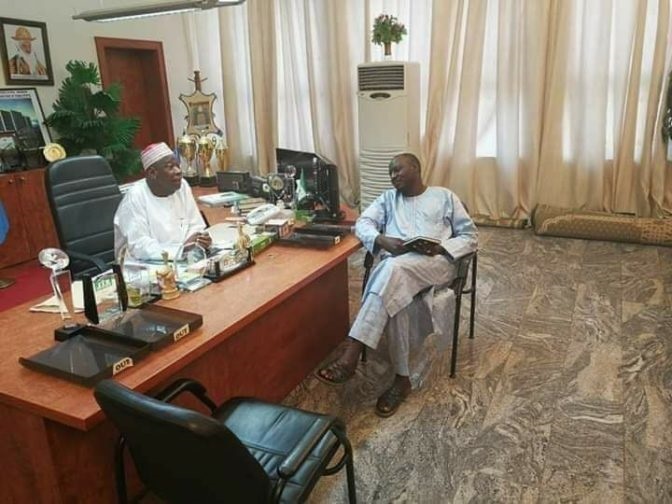 According to reports, it was gathered that the photo was taken when the going was good between the governor and the journalist as he was hosted at the Kano state government house. In two videos released, the Governor was caught receiving part of $5m bribe from a contractor and stuffing them in his pockets. The first video was released to the public on Sunday while the second, on Monday. The money was part of tranches received amounting to about $5million from contractors in the state. According to Daily Nigerian, contractors said that the governor personally receives from 15 to 25 percent kickbacks for every project executed in the state. The governor has vehemently denied the bribe allegations as he said the videos were doctored. 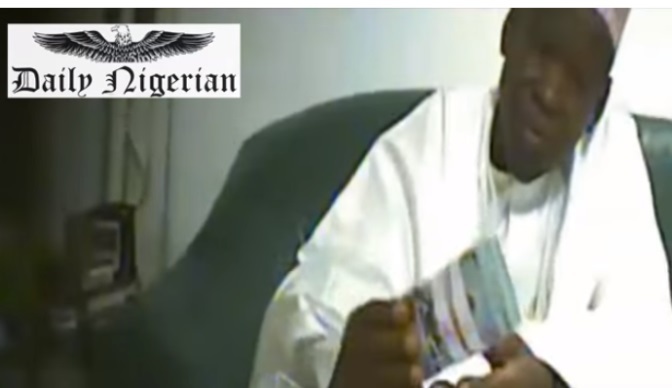 Meanwhile, the Kano House of Assembly has reportedly commenced a probe on the bribe-taking videos of the state governor, Abdullahi Ganduje. Raising a matter of urgent public importance on Monday, a member representing Warawa Constituency, Labaran Madari, said the assembly should investigate the authenticity of the video and take appropriate measures.